In addition to providing office space, the new Microsoft campus will include student housing and retail space. 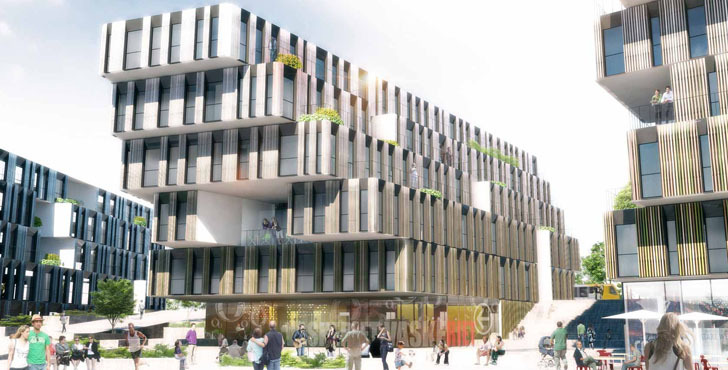 The mixed-use development will play an integral role in the Lyngby-Taarbæk City of Knowledge and Urban Development 2020 plan, which aims to make Lyngby one of the top university towns in northern Europe. The development is also expected to create a lot of new jobs, and it will bring university students and Microsoft employees closer together. According to Henning Larsen, the new campus will reflect Microsoft’s vision of the office of the future, which will promote worker collaboration through a flexible interior layout that is based on state-of-the-art technologies. 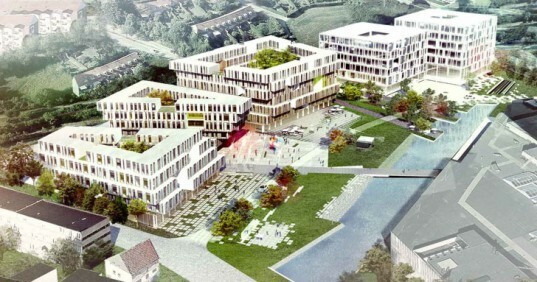 The mixed-use development will play an integral role in the Lyngby-Taarbæk City of Knowledge and Urban Development 2020 plan, which aims to make Lyngby one of the top university towns in northern Europe. According to Henning Larsen, the new campus will reflect Microsoft's vision of the office of the future, which will promote worker collaboration through a flexible interior layout that is based on state-of-the-art technologies.